This was my afternoon snack and one of my favorites! 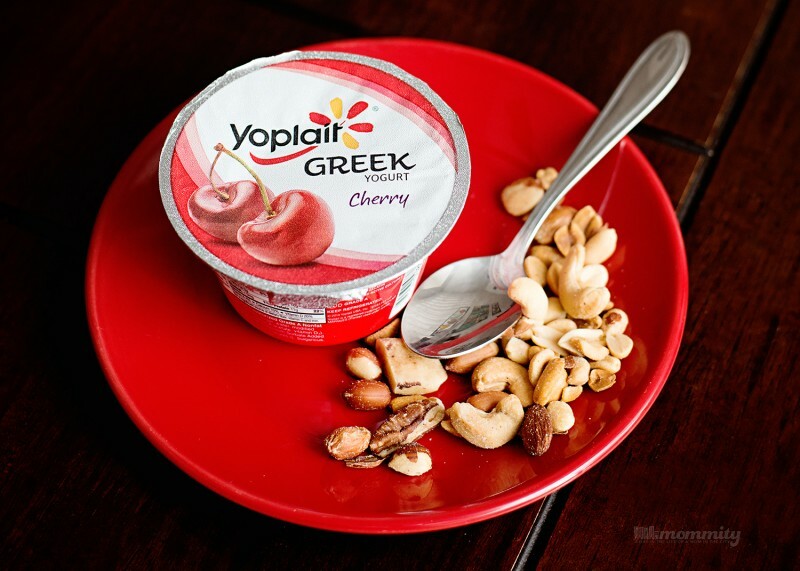 A Yoplait® Greek Yogurt with a side of mixed nuts. In January, I started this long this journey to eat better and move more. I’ve been finding new ways to incorporate more nutritious snacks into my day. One of those ways is with Yoplait® yogurt. My days in the gym are long and my body requires a lot of protein to get me through the day. The challenge lies with the options of protein that are available. It’s easy to choose things like cottage cheese and jerky to snack on, but those things are full of sodium. So, I like to fall back on my go-to Yoplait® Greek Yogurt to help fill in those protein gaps. 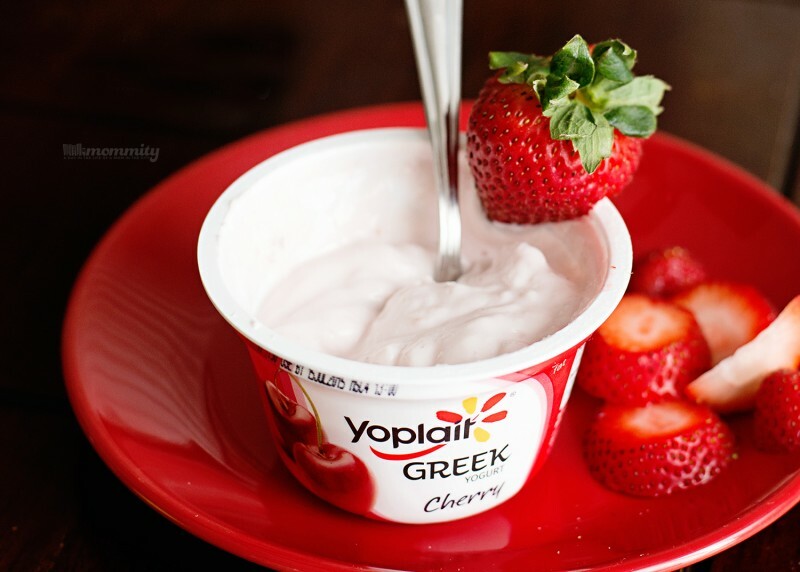 There are a lot of great ways to enjoy Yoplait® Greek Yogurt! It’s delicious plain or even with some fresh fruit mixed in. On days when I really need to up my protein intake, Yoplait® Greek Yogurt makes an awesome base for a protein smoothie. Every week, during my visit to Walmart, I always grab a bunch of these. While my regular grocery store carries Yoplait® Greek Yogurt, Walmart seems to have the best variety. We go through these fast! 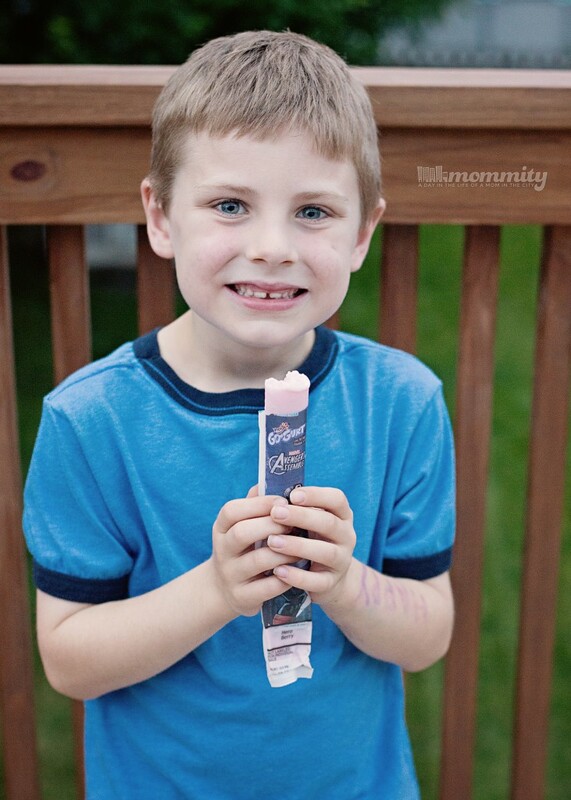 Now that summer is here, my kids are really enjoying the Yoplait® Gogurts! We buy a box and throw it directly into the freezer. After a few hours, you have instant frozen pops! These are the best after dinner treats. After being overweight most of my life, it’s important for me to learn better habits and to teach them to my kids. Snacking is just a part of life, so I take those tiny moments to make sure that my kids and myself are reaching for wholesome snacking options that are nutritious. What are some of your favorite ways to enjoy a Yoplait yogurt? For more information about the Yoplait® varieties available at Walmart, visit here.